We TUFF ROCK INDUSTRIES are Industrial giants in manufacturing of wide range of Construction Chemicals and Wall Putty. Our product and service range includes Plaster master, Admixture systems, Tuff plast wall putty, Engineering grouts, Surface treatment, Tiling system, Waterproofing systems, Industrial flooring systems and Repair system. Our new product range of industrial Epoxy and decorative flooring in Metallic,terrazzo,recycle glass counter tops and flooring system. 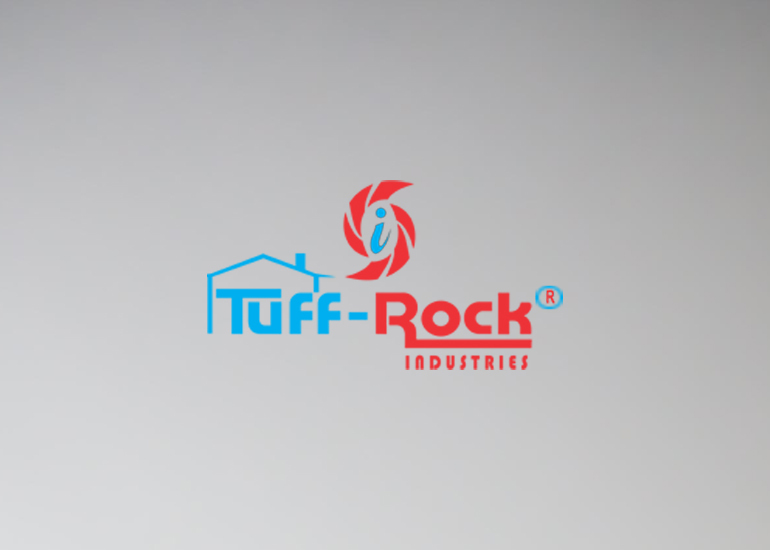 Established in 2007, Tuff Rock Industries has evolved as a specialist niche company offering premium quality products. Acclaimed and accepted by a varied range of clients in India and international markets. Our state-of-the-art infrastructure and highly equipped manufacturing unit strengthen our capabilities to meet the stringent client specifications thus ensuring highest level of customer satisfaction. Along with technical advancement the support of our team enables us to manufacture premium quality construction chemicals and wall putty.Being an ISO company, we manufacture our products to stand on ISO, BS, IS and ASTM standards and adhere to global work practices. Our quality analysts conduct stringent quality tests at each stage of product development to ensure standards of our products.Products offered by us are admired for their efficiency, chemical formulation, longevity and superior quality. We strive to offer prompt and satisfactory services at reasonable pricing. Tuff Rock Industries also offers high quality customized solutions of our products and services as per the specifications of our clients. In the world of modernity and trend, people are slowly becoming quality conscious. Being quality centric organization, we take proper care of quality of the products and services that we offer. Each and every product and services being offered by us are quality checked at different stages of development by our quality experts. Quality experts working with us, conduct stringent quality tests from the time of raw material procurement till the entire formulation. We are one of the leading and widely accepted manufacturer and service providers of Construction Chemicals and Wall Putty. Products being offered by us are known for their quality and precision formulation. Our products are manufactured using finest quality raw materials on latest machinery. Our product range includes Plaster master, Admixture systems, Tuff plast wall putty, Engineering grouts, Surface treatment, Tiling system, Waterproofing systems, Industrial flooring systems and Repair system. Being one of the latest manufacturer and service providers, we offer our clients with premium quality Construction Chemicals and wall Putty. Services and products offered by us are widely appreciated and accepted across the industries. Our products have been accepted in the national as well as international market including Indian Subcontinent, Central America, Middle East and North America. The pillar behind our phenomenon success in a short time span is our highly skilled team of experts who are committed to highest quality standards. Our team’s in-depth industry knowledge strengthens our ability to meet the client’s distinct requirements ensuring high client satisfaction. We have with us a team of qualified professionals holding vast experiences in their account. There sincere and dedicated efforts have enabled us to offer our clients with chemicals manufactured using best formulations.